I quite like the single art work. Who designed it? Simplicity itself compared to a Biffy cover, but it is just as effective. Will the little campfire carry forward as a bit of branding? Not being a stranger to the band, I took a great interest in listening to ‘Cardboard Ships’. I was quite surprised by how much more I liked it than I remembered. I didn’t recall it being one of my favourites from the early recordings. I’d certainly think of it as one now. It is remarkable how nicely you’ve polished it up and given it a deeply moving new musical underpinning. Are there any other older songs that have been reworked? The new single ‘White Lights’ seems to be richer and a little more musically diverse. Is it a good indicator of where your song writing is taking you? What do you think of the new Fake Major single? Ever since starting up the vinyl collection again, quite a few 7” singles have travelled across the Atlantic. I was just looking at the stack of them and marveled how much more substantial (and artistic ) they were compared to CDs. Do you still buy them? If so, what were the last 2 or 3 you’ve picked up? Right now advance copies of the single seem to be attached to the launch gig. What forms will it be available in after that? The Campfires are pretty clear in stating who their influences are. Take a bit of Frightened Rabbit, a little Twilight Sad, and some of the more raucous potential of their own early demos and you’ll just begin to describe their sonic potential. Perhaps oddly, I’ve always been a little bit afraid that Campfires in Winter would be dismissively compared to them by ‘critics’ who then commit the additional sin of failing to appreciate the warmth, depth and range to be found in their music. Obviously, the musical terrain they tread on is similar – To American ears it is almost stereotypically Scottish. But that’s the thing about stereotypes – they are exactly that for a reason. It is almost impossible to grasp that the band is just releasing their debut single considering how good their demo catalogue is. A revamped version of ‘Cardboard Ships’ included on the single highlights the strength of their musical development. Editing this section queues the song in my mind and now I’m compelled to listen to it yet again. “We’ll get as far as we would in the sea on a cardboard ship as we would in the air on a paper plane trip”. Soaring poignant vocals flowing on a low sonic wave that opens up to a beautiful mid song instrumental melody that ushers in the next vocal round before ending in a slow washed out organ (or whatever sound it is) fade. When done – it begs to be played again from the beginning. This is no B-side. The actual single comes in two lengths – a full 6.04 and a 4:32 radio edit. With the introductory musical paragraph of the longer version neatly truncated, the shorter version lunges into the vocals almost immediately. “It will take 3 parts liquid and 2 parts luck”. Radio friendly and possibly more engaging; I rather like having both included even though there is not much difference after that. Interestingly, the vocals have been confined to the first part of the song allowing the music and guitars to have more expression than ever before. Describing it won’t do it justice (at least by me) and to be honest it isn’t something you’ve not ‘heard’ before. It is, however, a song that is better than the sum of its parts. My reaction to this single oddly mirrors my reaction to the new Frightened Rabbit record. For them it is a very positive course correction and for the Campfires it is the herald of a potentially incredible debut album to come. Hopefully they’ll go as far. For a little extra treat, I came across this clip of this acapel-a-coustic version of ‘See Us There, Both.’and don’t forget to get the actual demo here. (update) The video for ‘White Lights‘ was released on March 4th, 2013. 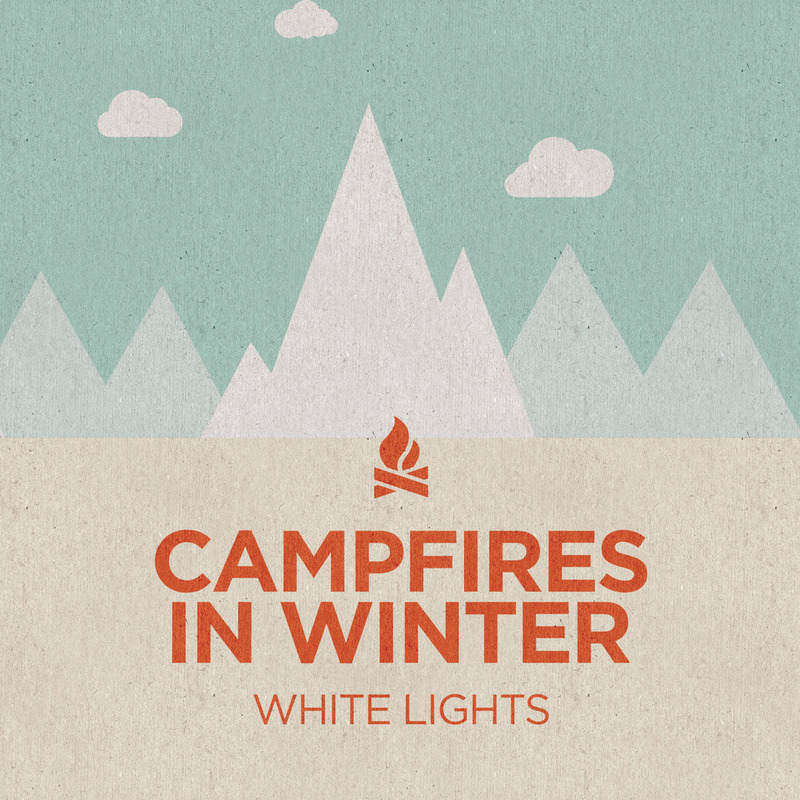 This entry was posted in Bands We've Chatted With and tagged Campfires in Winter, White Lights.